Scotcheroos were my absolute favorite treat growing up and I could just about eat an entire pan by myself. I don't know what it is about the chocolate/peanut butter/butterscotch combo, but it's amazing! 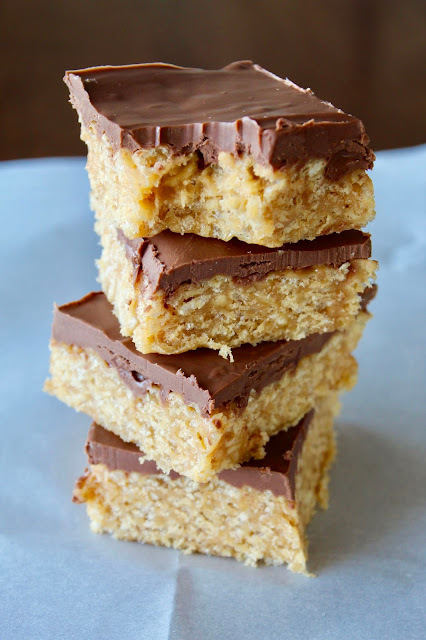 I would have loved to make these for my family before now, but my oldest son had a severe peanut allergy for almost 6 years so we could haven't peanut butter in our home. Now that he's had treatment for it, peanut butter is back and I'm determined to make all of my favorite treats! The first recipe I tried was such a bummer. It was poorly written and the corn syrup mixture was overcooked so the Scotcheroos got really hard. The most important part of this recipe is to dissolve the sugar into the corn syrup by barely bringing it to a boil. 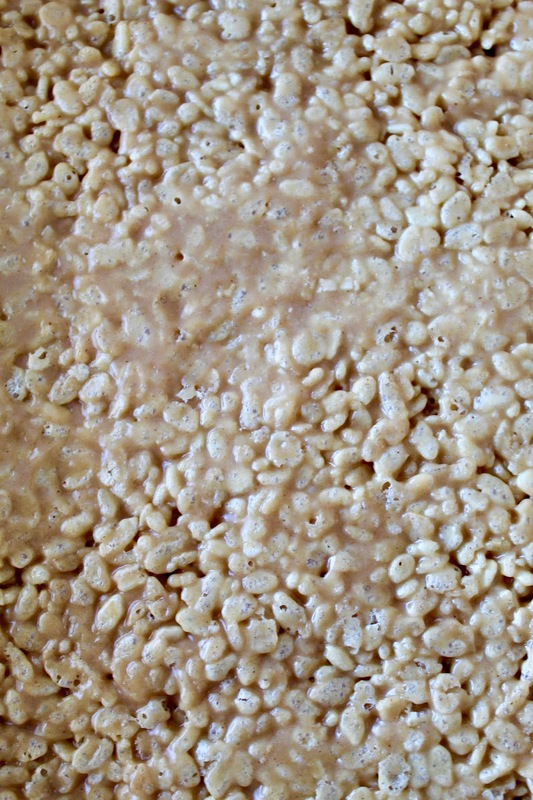 If you do this right, the mixture turns into a soft caramel and it's fantastic with the peanut butter and Rice Krispies. I gave some of these to a friend of mine who has had a lot of Scotcheroos in her lifetime and she said they were the best she's ever had! So I figured that was my cue to name them as such. 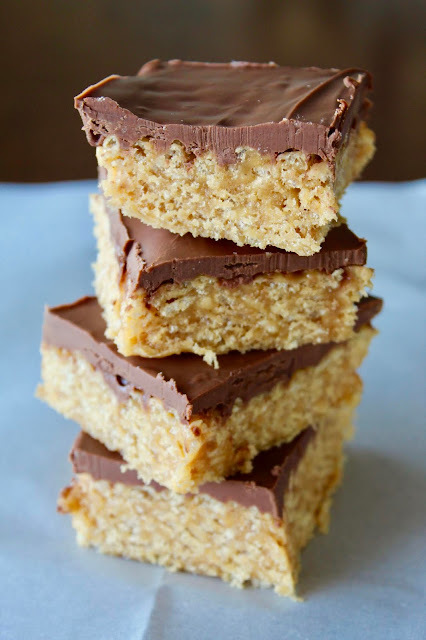 If you've never had them or grew up making these, you still need to try this recipe! They're the best treat ever and your whole family will love them. 1. Line a 9x13-inch pan with parchment paper or lightly grease with cooking spray. Set aside. 2. Combine corn syrup and sugar in a large saucepan or pot over medium heat; stirring often. Bring mixture to a boil (just until bubbles start to appear throughout the mixture) and remove from heat. 3. Stir in peanut butter until well combined. Add cereal 2 cups at a time; stirring in between each addition. Stir until evenly coated. 4. Pour into pan and press down into an even layer. 5. Combine chocolate and butterscotch chips in a microwave-safe bowl and microwave on HIGH for 1 minute. Stir and continue to heat in 15-second increments until completely melted; stirring after each increment.